The table below shows the current contents of the Multilingual Edition. 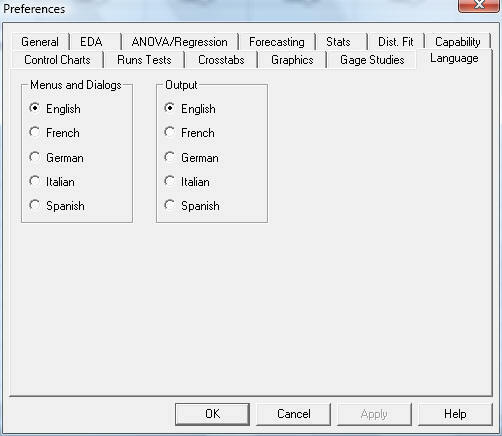 The features that have been translated for Statgraphics statistical analysis software vary from one language to another. Users who wish only two languages (one of which must be English) may purchase the Bilingual Edition instead.